Are these the interior design stars of the future? Yesterday a friend and I went to Clerkenwell Design Week. I’d never been to Clerkenwell before- its an undiscovered corner of London with beautiful Georgian architecture, peaceful squares, and a good selection of lovely restaurants and cafes. The show itself was spread across three main venues and was a mixed bag. 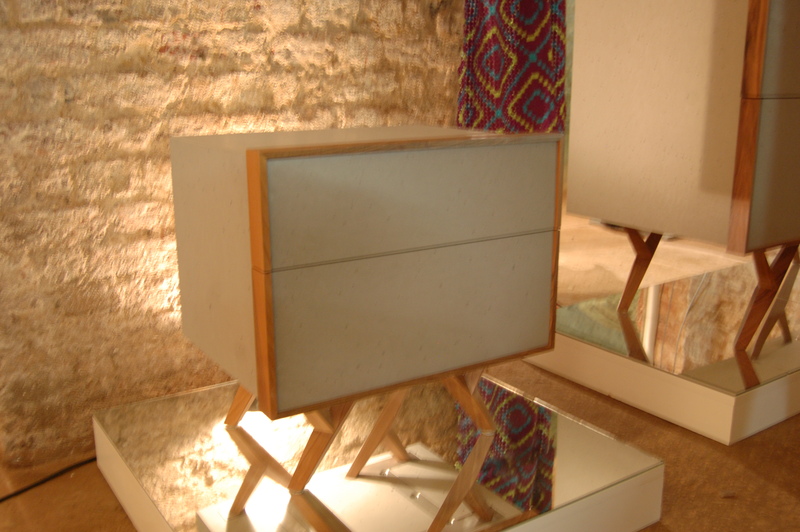 There were some really exciting, innovative products shown by new designers but the established brands were offering much of the same Skandi style, 50s look furniture that you see everywhere (and can get similar in Ikea for a fraction of the price). It may well be lovely but its not exactly cutting edge! We started at “The House of Detention”, where new design talent were exhibiting in supposedly haunted catacombs that used to house a prison dating back to the 17th century. It was very atmospheric, with water dripping through the ceiling and products shown in the original tiny cells. This was the best part of the show-interesting concepts, great venue, friendly exhibitors and no crowds. Concrete coated furniture from Italy. Cement mix is applied to lightweight panels to give a smooth,tactile surface-you just want to stroke it. 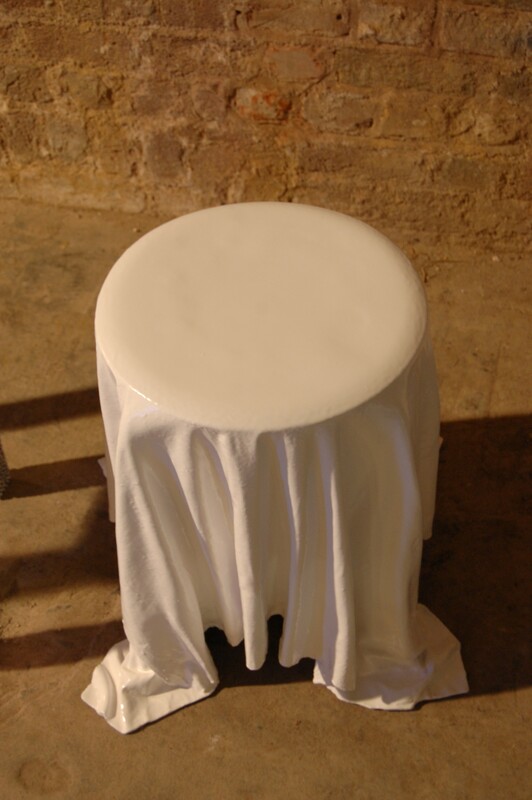 Phillip Aduatz’ sculptural furniture .This stool/table is coated in resin so that it looks like a draped tablecloth- surreal! Design inspired by nature was a recurrent theme. This insect motif rug was from a collection of limited edition rugs designed by artists and made from 100% pure new wool by Foundation Rugs -beautiful and reasonably priced too. Contemporary Victoriana was another trend I noticed. Kristjana S. Williams unique artwork combines graphic lines and bold colour with images of Victorian engravings. 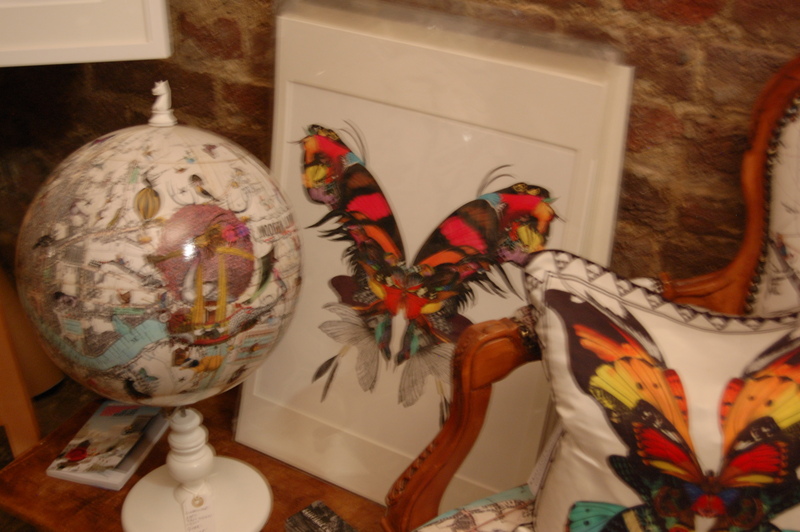 She also makes collages from photos, engravings and natural objects like twigs and leaves, seen here in her globe. My friend Michele has been searching for artwork to hang in her classic, monochromatic bathroom – these prints would be ideal. More designs from the other Clerkenwell venues to follow soon!